Calculated. Avoided. Craved. 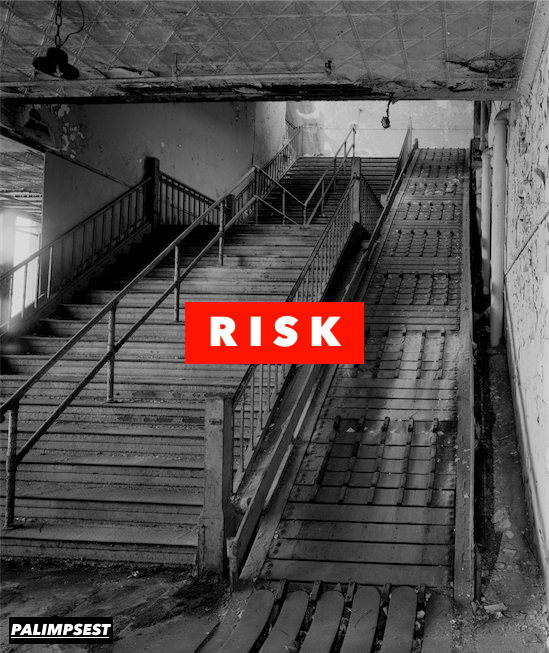 At once the threat of danger and the prospect of success, risk is the avenue you didn’t know you wanted to take, but will it lead you to breakthrough, momentary thrill, or disaster and pain? Risk compels and repels, promises and invalidates. How do we innovate and connect in a moment characterized by unknowable risk? We are pleased to announce the call for submissions for our upcoming issue, Volume VIII, organized around the theme of RISK. Submissions approaching this topic from a variety of perspectives, genres, and media, including sound and video, are welcome. Visit campuspress.yale.edu/palimpsest for submission guidelines and information regarding our past issues. Please send submissions to submissions.palimpsest@gmail.com by midnight April 15, 2017. If you have any questions, contact yale.palimpsest@gmail.com.